Imperial Car Supermarkets are the trusted specialists in the sale of quality used cars. We are exceptionally proud of our partnership with the RAC who work at our vehicle preparation site to check all of the used cars before we offer them for sale. 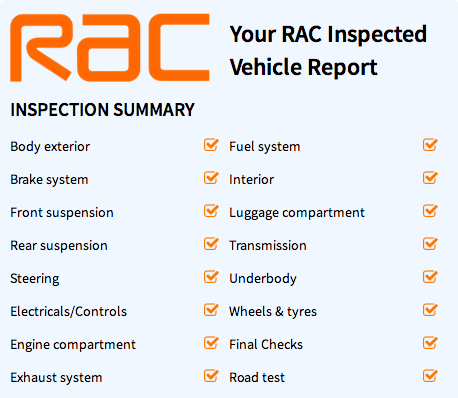 The RAC checks are designed to highlight any issues that need to be rectified, and a full report is made available to customers, both online and in our showrooms. We never compromise on the quality of our used cars and only offer vehicles for sale once we are satisfied that our exacting standards have been met. It is this level of transparency which makes Imperial Car Supermarkets the first choice for used car buyers across the Hampshire area (and indeed beyond). With our website being so easy to use, and offering so much information on each individual vehicle, you can do your homework before choosing your preferred car and visiting one of our showrooms, located in Fleet, Portsmouth, Southampton, and soon Northampton too. Come on in to view, test drive cars and get a great part exchange deal too! Search for your next used car at Imperial Car Supermarkets now, or read more about our rigorous vehicle preparation process here.